Michael Dunham is a CERTIFIED FINANCIAL PLANNER ™ professional and has lived in Oklahoma all his life. It's where he developed his work ethic, from his first job at the local A&W to his MBA in finance from Oklahoma City University to the founding of Capstone in 1983. Mike built his reputation in Oklahoma City providing independent financial client-centered planning services at a time when most advisors were associated with large firms. He pioneered the use of 401(k) plans by small businesses. Michael holds an MBA Degree in Finance from OCU and a Bachelor of Science Degree in Psychology from Oklahoma State University and attended both OSU and OU as an undergraduate. Michael is a member of the American Society of Pension Actuaries and Professionals. Some of Michael’s professional designations include: Certified Pension Consultant (CPC), Certified Financial Planner™ (CFP®), Qualified Pension Administrator (QPA), Qualified Plan Financial Consultant (QPFC) and Chartered Retirement Planning Counselor (CRPC). Michael and Susan’s son Michael Drew Dunham is a 2016 graduate of the University of Oklahoma and is currently serving his country as a U.S. Army paratrooper stationed at Fort Bragg, North Carolina. The family are members of All Souls Episcopal Church. 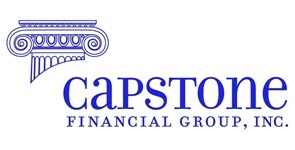 Mara assists clients with all aspects of their accounts and has 29 years of experience in the financial services field including 18 years with Capstone. Mara is responsible for preparing all new account documentation for clients. She enrolls new 401(k) plan participants and processes their enrollment documentation. She opens new participant accounts, establishes online access for clients and serves as Capstone’s liaison with Fidelity Investments and other custodial firms. Mara’s consistently positive attitude and responsiveness makes everybody whom she talks with feel that she is a friend. Mara lives in Oklahoma City with her husband David and their two children Hannah and Jake. She also has two older daughters Shyann and Randi and four grandchildren Aden, Anabelle, Aspen, and Harper. Mara also enjoys crafts, gardening, reading and attending her grandson’s sporting events. Mara and her family are members of Crossings Community Church. Leslie has 25 plus years of experience in the retirement plan industry and has been at the forefront of innovating efficient plan management and administration techniques for many years. Leslie holds professional designations including Certified Pension Consultant, Qualified Pension Administrator and Qualified 401(k) Administrator. Leslie received a Bachelor of Science Degree in Accounting from Oklahoma State University and is a member of the American Association of Pension Actuaries and Professionals. Leslie guides the administration, recordkeeping and government filing responsibilities for the firm. Becky provides clients with extraordinary personal service and is responsible for making sure that other team members have the resources necessary to do their jobs. She often serves as retirement plan participant’s first contact with our firm. Becky handles communications with the IRS, obtaining census and other plan data from plan sponsors and is responsible for all filings with the IRS. She has primary responsibility to assure that participant’s needs with regard to participant loans and plan distributions are met in a timely and courteous fashion. Once our clients turn age 70 1/2, they are required to take minimum distributions from their retirement accounts. Becky is in charge making sure that all client’s take their required minimum distribution and that all tax reporting forms are correct. Becky began her career with Capstone Financial Group, Inc. in 2003. She is a meticulous professional with a particular zeal for daily accomplishment. She attended Springlake Vo-Tech for Certification in Computer Science. She enjoys reading, spending time at the lake and volunteering at the Oklahoma City Elks Lodge where her and her husband have been members since 2009. Becky was born and raised in Oklahoma City and is currently living in northwest Oklahoma City with her husband.